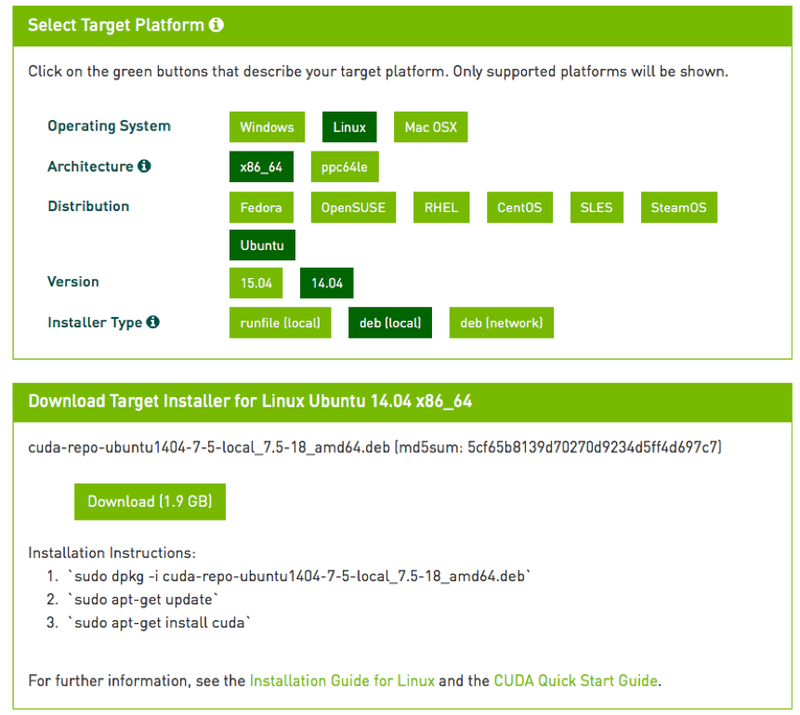 Download CUDA 7.5 local repo from (https://developer.nvidia.com/cuda-downloads ). Choose deb(local) installer type. 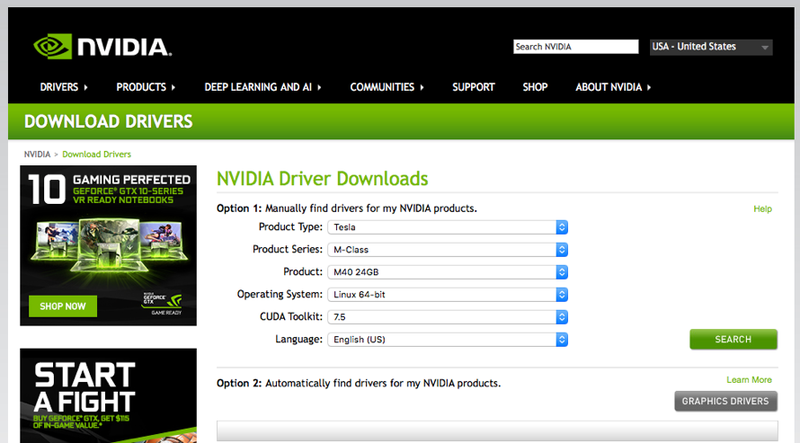 This entry was posted in cuda, gpu, linux and tagged computing, cuda, driver, gpu, linux, M40, NVIDIA, Tesla, Ubuntu by mteguhsat. Bookmark the permalink.